5 Senses Theme Activities for Preschool! If you are new to this blog, WELCOME! Each Wednesday throughout the year, the Early Childhood Education Team develops collaborative activities centered around themes for use in ECE. 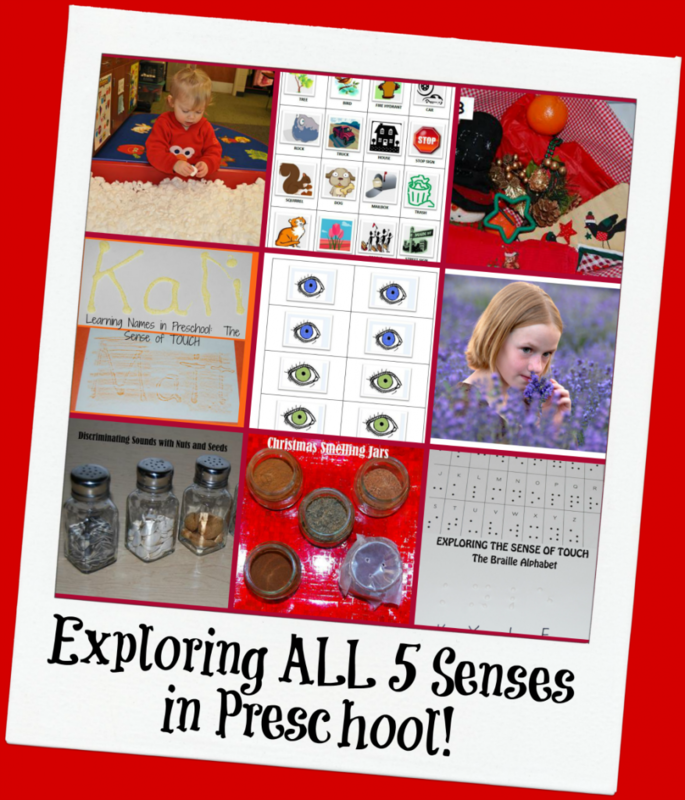 This week, we’ll share our own activities to promote sensory knowledge using ALL 5 Senses. Be sure to check out the other great activities from the #TeachECE Educators that are linked at the bottom of this post! Exploring The 5 Senses in Early Childhood will help preschoolers identify and discover the body parts that are used to gain sensory information: Eyes, Ears, Nose, Mouth, and Hands. The activities suggested below will offer opportunities for hands-on play with the senses of: Sight, Hearing, Smell, Taste, and Touch. Through play and experimentation, the children will develop an awareness of how The 5 Senses are used to gain knowledge about their world. In order for children to explore The 5 Senses, preschoolers must be able to locate the 5 primary body parts that provide sensory information: Eyes, Ears, Nose, Mouth, and Hands. Allow for plenty of time for play with mirrors. Ask the children to identify the different body parts they see in the mirror. 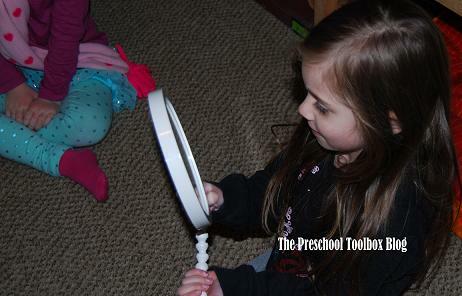 The children can also partner with peers and use magnifying glasses for discoveries (the children will think it’s funny to look at each other with magnifying glasses, but they are gaining important information). Nature Walk Recording Sheet – Take the kids outside so they can use their sense of sight to locate the various items on the recording sheet. It’s free to print and FUN to do! Christmas Lights – looking at Christmas Lights is a simple activity to promote visual information. Print the recording sheet below and complete together when you get home or back in the classroom. 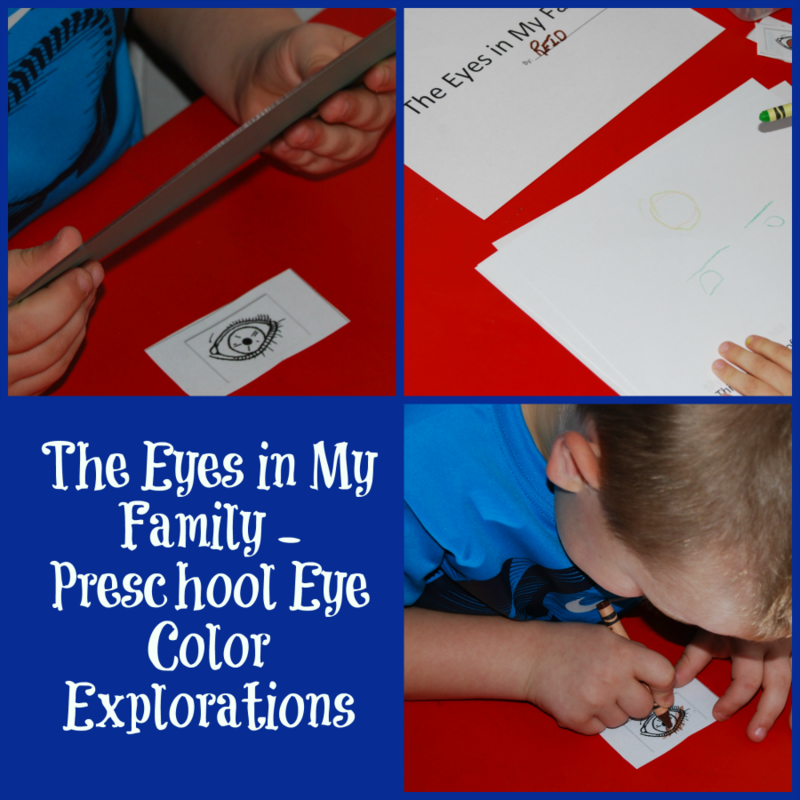 Exploring EYES and EYE Colors in Preschool – simple science to explore eye colors in families and preschoolers. SOUND Discrimination: Invite children to use their sense of sound to ask critical thinking questions? WHAT/WHO is making the sound, WHERE would I hear that sound, HOW is that sound created, and/or WHEN have I heard that sound before? 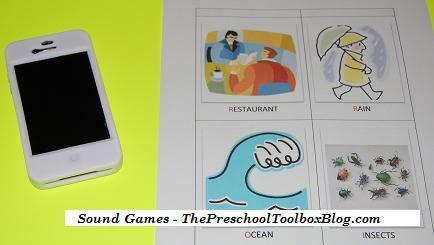 Free printable cards and games for playful learning! Christmas Sound Shakers – explore the sense of sound with seasonal Christmas Shakers! Exploring Sound with Nuts and Seeds – help preschoolers discriminate sound with nuts and seeds. 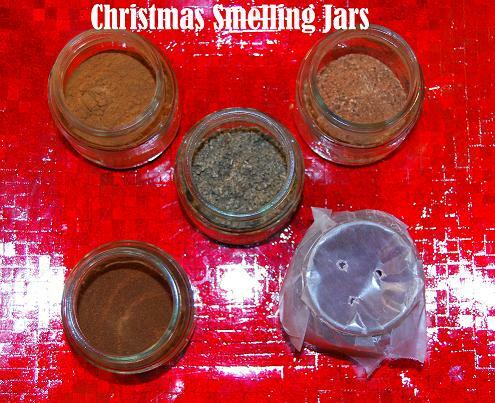 Christmas Smelling Jars are a FUN way to invite kids to see which SMELLS they like or dislike. Free recording sheet for preschool and kindergarten is here! Lavender Pre-writing Practice – free printable with a lovely lavender paint to enhance sensory play with the SENSE of SMELL! 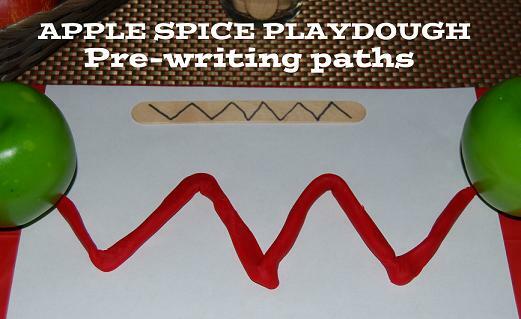 Apple-Spiced Playdough Pre-Writing will enhance the Sense of SMELL and develop fine motor skills through play! 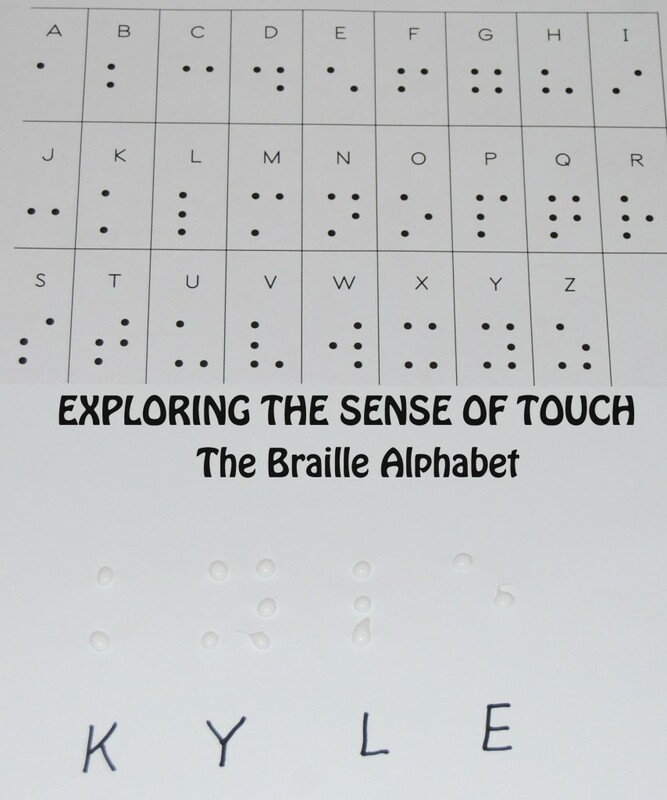 Explore the Sense of Touch by learning about the Braille Alphabet with a sensory name activity! Learning Names in Preschool with ALL 5 Senses – explore names and letters in preschool with 5 sensory name creating activities! Christmas Sensory Bins are a FUN seasonal activity for exploring various textures with the SENSE of TOUCH! Explore the Sense of Taste with a Chex Mix Experiment for Kids – free recording sheet for FUN tasting! Make fun snacks with a variety of textures for kids to explore different taste sensations! Set out apple slices, banana slices, chocolate chips, miniature marshmallows, and cheese sticks for the children. Set out a picture of an umbrella and have the children try to use the snack materials to re-create the photo. Have the children describe the TASTE of their umbrellas (are they crunchy, sweet, sour, bitter, etc.) 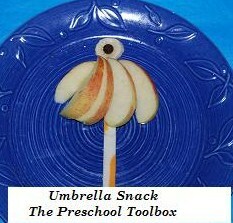 It is a fun activity for snack time and the children will amaze you with their creations! For MORE ways to play to learn through ALL 5 Senses, see the 5 SENSES THEMATIC UNIT here on the blog! 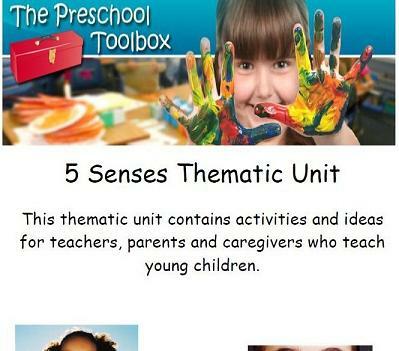 The unit is a large theme with over 100 ways to gain sensory information through: literacy, math, science, arts and crafts, large motor, dramatic play, and foods/food crafts! Please also take a moment to visit the links to other 5 Senses activities from the dedicated #TeachECE Team below! « Candy Cane Counting Sticks in Preschool! What a fabulous collection. Do you use these mostly as centers or during whole group instruction? Amanda – a little of both. We introduce every new activity/exploration as a group then kids enhance learning through individual tray “work”, centers/practical life tables, or within smaller groups. I love that you are introducing your students to the Braille alphabet as a sense of touch activity. Very cool! The eyes in my family activity is one of my favorites. So many good ideas! I’m reading your Christmas sounds post now! So many great activities for exploring the senses!